The kit to rebuild the surrounds on my BSR Thunder Lizards was easy to use with concise illustrated instructions and everything else I needed for the job. The job took about 2.5 hours per speaker, was extremely easy and the results were perfection exemplified! The speakers sound great, like new and I am extremely pleased. I highly recommend this company and their products and will certainly use them again. 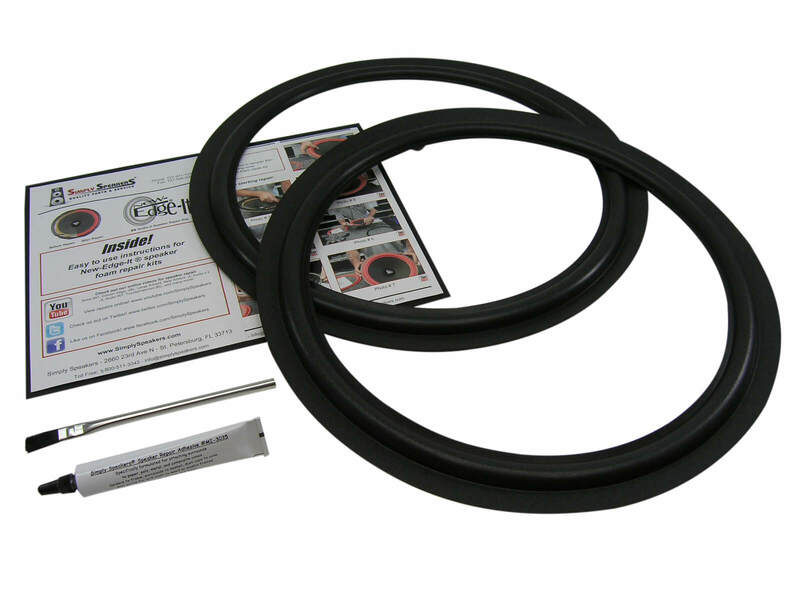 This is a perfect repair kit for the surround on the BSR subwoofer. Only needed one surround repair, but the kit comes with two. The price is very nice, and the kit was shipped rather quickly. works like a charm. got free speakers for the price of the repair. The old glue was a b---h to remove, but it then went swiftly. I received these very quickly and they worked out perfectly for my speakers. I ended up saving hundreds of dollars by not having to buy a new speaker system. Thanks! Got speaker repair kits for both woofers and tweeters and both fit perfectly and worked like a dream. not difficult to repair with the "everything" kit. Thanks. Perfect fit for my BSR 1550L woofers. Thank you! This kit worked exactly like it was advertised. Speakers came out just like new. Easy to do and a great value. I've built speakers for over 45 years, most are still in service. The repair kit that I used was easy to install and it arrived within a week of ordering. It was so easy and simple to install that I installed it the same day that it arrived and the speakers were working fine the next day after the glue had set. The sound and performance is back to normal as far as I can tell. This is a very good product and I would use it again. The foam support on the outer edge of the 15" woofer cones on my wonderful old (70's vintage) BSR speaker system had deteriorated, oxidized and fallen apart. I took the speakers out of service and they've been sitting around for 10 years awaiting repair-- the quote I had was for over $100 plus shipping. 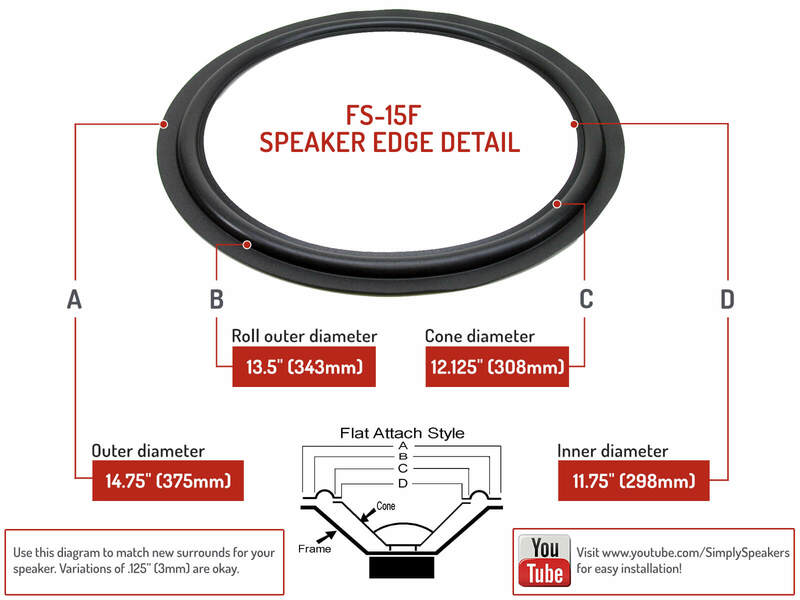 Then I found the $25 repair kit from Simply Speakers and ordered it with a bit of trepidation about my abilities. To my surprise the operation on the two speakers went easily and even more quickly than I expected-- about 4 hours of effort plus time for glue to dry. A pair of hi-power reading glasses and a strong light were a help to these 70+ yr-old eyes, and it was dedicated and tedious work (mainly in removing the old adhesive on the speaker frame) but the results were very satisfying and perfectly operational. My thanks to Simply Speakers for making this old technology recycle possible, practical and inexpensive! BSR: 153, 158, 158C, DR-1550L, DR-1550R and many more!